What is now the upper part of Black Horse Hill was at one time an extension of Over Street (now Top Street) and there is an interesting map in Richard Dunmore's In Focus article on the 1841 census, part 4 which shows this. At the corner was the post office (now a private house). Old End, Duck Lake and the lower part of Black Horse Hill were collectively known as Duck Paddle, as shown in the census part 3. Looking down the hill, the cottages on the right in the picture below still exist but are painted white. Reginald Eyres metions in his memories of growing up in the village that the local wheelwright, Bert Gresley, also doubled as the undertaker. His shop still exists, now converted to a private home, number 13. The aerial view of Old End in the photograph below shows farm buildings now converted to houses (with thanks to Mr & Mrs N Robinson for this picture). 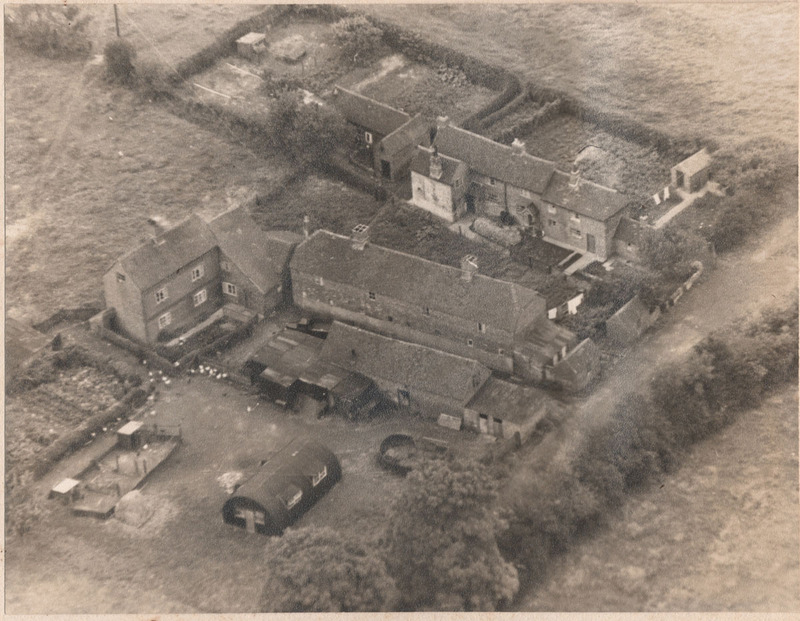 Most of the area now occupied by St Michael's Drive was farmland and there are a number of farmhouses clustered around this area. 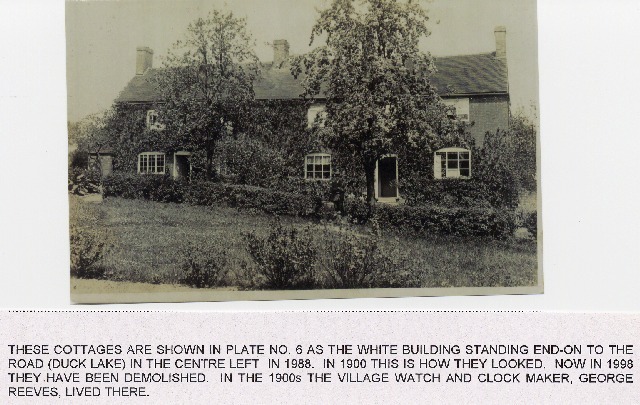 Duck Lake was the location of the clockmaker's house, occupied first by the Baker family and then by George Reeve. Sadly this and its neighbouring cottage were demolished recently to build new houses. One uncomplicated road, known to us as Duck Lake is recorded in the first Census quite unequivocally as Duck Paddle and provides a useful social snapshot from that time. The enumerator, trudged along with his schedule sheets (women were not allowed as enumerators until 1891) and contemporary equivalent of a clipboard complete with inkwell: this was the pre-fountain pen era and though the quality of the schedules returned is very variable, they are mostly completed with a fine steel nibbed pen in copperplate lettering. Unless the course of the brook has altered significantly (and there is some evidence that along Old End it has) he would have found all his calls to be on the West side of the road. 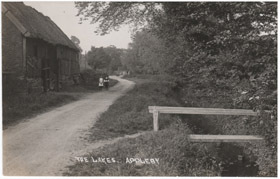 There is no mention of Old End as a separate road but Stoney (sic) Lane occurs as a separate entry of three houses. This suggests that it bisected 1841 Duck Paddle just as today it divides Duck Lake from Old End. The enumerator found and recorded 30 houses as occupied and four as unoccupied. 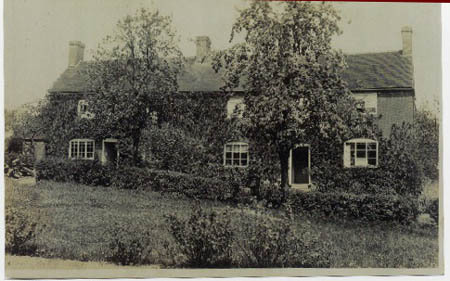 There were 49 different families living within the 30 occupied houses. The families are all named within strictly laid down rules. These defined that every householder either renting or owning a property must declare the names of all those under his roof on the night of June 6, family, boarders and lodgers. We can see that twenty of the houses must have accommodated more than one family, so boarders and lodgers were obviously a fact of life along Duck Paddle. This was plainly the norm nationally as the census enforced separate definitions: a boarder lived with the householder’s family and shared the table, whereas a lodger was deemed to occupy a separate “household”, albeit under the same roof. 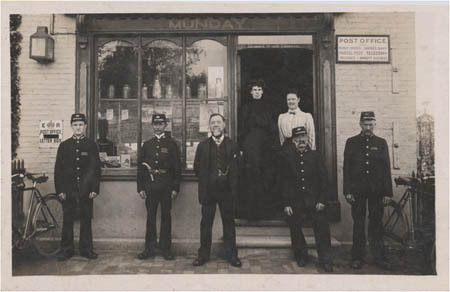 Residents were ascribed as having a Profession, a Trade, an Employment, or as being of Independent Means, gradations respecting the social “orders” of the day - these were very early Victorian days and Marx and definitions by class had yet to appear. But ignoring that for a moment, Duck Paddle presents as a hive of activity. Four householders are listed as Farmers and eleven as Agricultural Labourers. 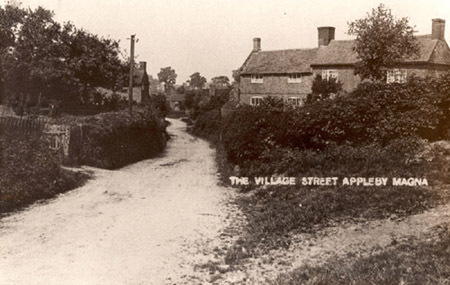 A Wheelwright and a Blacksmith would have found work to hand whilst two different Bricklayers may be evidence of expansion of the village. If the Sawyer plied his trade from home as many tradesmen did, it is interesting to conjecture if any trace of the sawpit remains. Everyday needs would have been catered for by a Butcher, a Grocer, two Tailors (one with an apprentice) a Potter and a Hawker. If a Shoemaker, Joiner or Painter was wanted, they were all just round the corner, in Stoney Lane. Neither did Duck Paddle ignore the fashion conscious villager: there was a 20 year old Straw Bonnet Maker and not one, but two Stay Makers at different addresses. One woman is described simply as Charwoman and two others as Poor Widow. More fortunate were four Independents. An inference might be drawn from the fact that two of these appear to have lived next door to each other plus that the adjacent entry for Stoney Lane also records another Independent. Was this the “monied” end of Duck Paddle? Of the six residents listed as Servants, four female and two male, perhaps predictably, three females and one male lived in with three different Independent households. The quartering of 142 Duck Paddle residents within households also reveals surprises and confirms expectations. 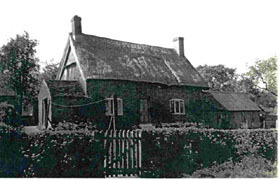 The eight Spencers also housed a Johnson, whilst just along the road four Saddingtons shared a roof with a Tipper and a Dymond. But pride of place must surely go to the Smiths, nine of them sharing with six Marshalls. Sixteen houses, just over half the total are recorded as being of single occupancy, judging by name of householder. For those students wanting to make a more thorough social analysis, there is much to sift through in relative ages - they range from a 70 year old man (ie someone born in 1771) to a two month old baby girl - marriages with people “from off” (detectable by looking at the “Where Born” columns), and, a little more speculatively, who had moved into or out of the village possibly following employment patterns. Lovers of grave stones may seek correlations. Family history interest is typified by Mr Joe Hoerdemaker a Dutch national who has corresponded concerning his Smith ancestry, one of whom is to be found to have lived (possibly in cramped conditions !) in Duck Paddle. Following the talk by Peter Moore early this year, I was able to secure a copy of his 1831 estate map and a book of reference dated 1832 associated with the map. These dates, only a few years before the census, make it possible to correlate information and provide a more complete picture of Duck Lake. Richard Dunmore has very kindly done this work and made his notes available. 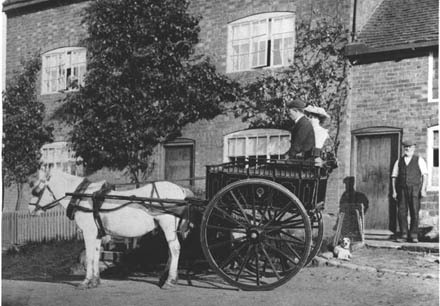 Combining sources, Richard has established that some at least of the properties described in the census as "Duck Paddle" in fact certainly did take in Old End, plus Stoney Lane and a part of what is now Black Horse Hill. This explains what appeared to be a very high density of occupation along what we now think of as Duck Lake. I suggest it also explains the origin of the name - an area generally prone to flooding. Richard spotted that in Aubrey Moore's book 'Son of the Rectory' the author says: "The general area from Rowland's farm along the brook was known as Ducklake, the name not being confined to any particular road" (p87). The photograph in the book (reproduced above) confirms the inclusion of part of 'modern' Black Horse Hill within Duck Lake, as it shows a descendant of the 25 year old wheelwright William Gresley who lived in 1841 at what now forms part of 13 Black Horse Hill.